The Aunt Farm is located in Edgewood, Washington. The 1907 farmhouse was part of an old dairy and the barn was fashioned out of wood salvaged from the old cow sheds. The farm is home to Pygora goats and Suri alpacas, both breeds chosen for their luscious ﬁber. 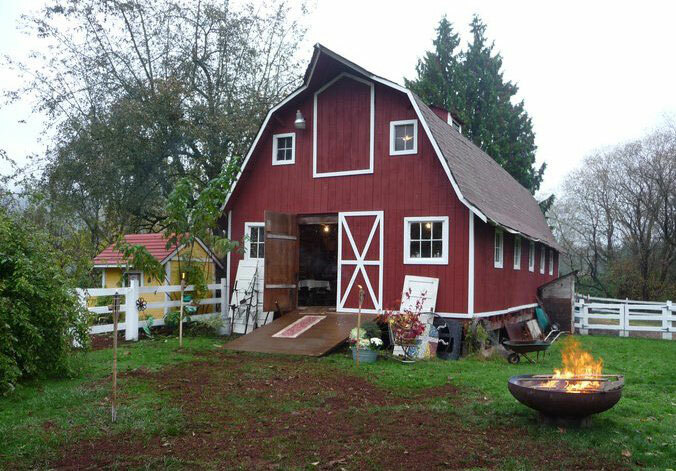 The Aunt Farm hosts a boutique in November where Kathleen and her fellow artists gather to share their talents with holiday shoppers. The farm is open to visitors throughout the year who are interested in ﬁber producing animals.